Surely the facts are still in the process of being assembled. New Jersey Gov. Chris Christie is in big political trouble at the moment. If you haven’t heard, Northjersey.com has published e-mails indicating that several top aides to Governor Christie conspired to create traffic jams on the George Washington Bridge, punishing the Democratic mayor of a nearby town who did not support Christie’s recent reelection. “Time for some traffic problems in Fort Lee,” said one of the aides, Deputy Chief of Staff Bridget Anne Kelly, in an e-mail to Port Authority employee and Christie associate David Wildstein. As that missive indicates, the aides took a measure of vindictive glee in their handiwork, which involved closing access lanes to squeeze traffic back onto access roads. At one point the Fort Lee mayor complained that school buses were having trouble getting through the mess. In response, Wildstein counseled an associate to not feel bad about the kids’ plight. Oh I’m ever so sure you did. 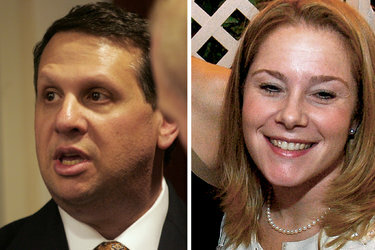 “They are the children of Buono voters,” Wildstein wrote, according to Northjersey.com. 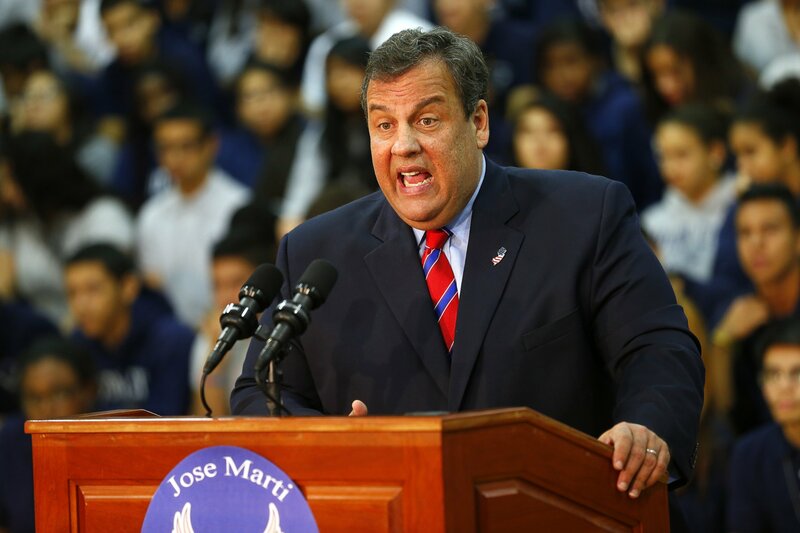 He was referring to Barbara Buono, the Democratic gubernatorial candidate Christie defeated in November. Hmmm. We’ll start here by noting that conspiring to create back-ups on the GW Bridge is a huge waste of effort. That’s like organizing a committee to plan ways of getting the sun to rise in the east. How did they distinguish between pay-back traffic jams and congestion created by natural phenomena? We drive through there quite often and, trust us, one box truck with a blown timer belt and the audiobook is over before the toll booths loom into view. With that as context we’d say that many interpretation of how this may affect Christie’s political future are, in our view, overblown. As we noted above, this obviously isn’t a great thing for him. But will it “probably destroy Christie’s chances in 2016” as New York Magazine’s Jonathan Chait argues? C’mon, let’s not get carried away. First of all, gaffes, scandals, misstatements, and other individual news items usually play much less of a role in determining political fortunes than reporters like to admit. While they can have a short-term effect on public opinion, usually voters revert back to attitudes determined by fundamentals such as the economy or perception of a candidate’s general character. 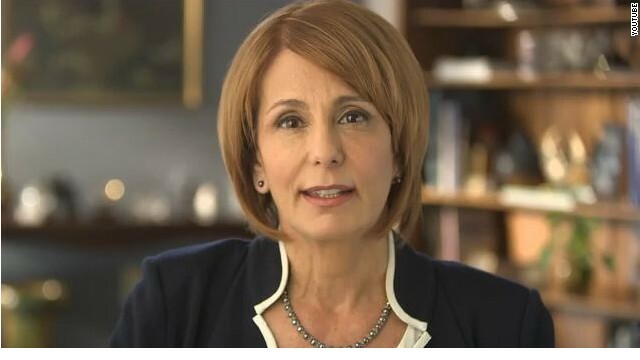 As political scientists John Sides and Lyn Vavreck showed in their retrospective on the 2012 campaign, a whole line of supposedly game-changing events – including the famous “47 percent” secret video of a Mitt Romney fundraiser – had little effect on the election’s outcome. No, really. Second, this particular scandal seems tailor-made to reinforce the beliefs of Christie opponents and proponents alike. Does it show that Christie is a bully who at the least created an atmosphere where such vindictiveness could flourish? His opponents think that already, and in “Bridge-ghazi” will see confirmation of their view. Is he a take-charge guy who is willing to break a little china to get stuff done? There are probably lots of Republican primary voters who do not believe that jamming up New York City’s intake routes is a bad thing. Remember, modern politics, especially modern presidential politics, is largely about mobilizing and energizing people who are already inclined to vote for you. It is not about trying to woo over the folks on the other side. In that sense the traffic scandal, as outlined so far, may be a wash. Finally, Christie still has deniability. Nothing that has emerged so far has tied him directly to the scandal. Condemn the actions, fire those involved, promise an investigation – mischief managed! “I think the whole thing will fade within a week unless proof emerges that Christie had a bigger role in it,” writes Allahpundit at the right-leaning Hot Air web site. Remember, it’s quite possible Richard Nixon might have gotten away with Watergate if it had remained something he could continue to blame on misguided aides. But the White House tapes linked him to the cover-up and brought him down. In the end Christie’s 2016 problem remains what it has always been: he’s a northeasterner with liberal views on some social issues that the GOP base may not accept. That’s likely to remain the central obstacle between him and the nomination, if he decides to run.